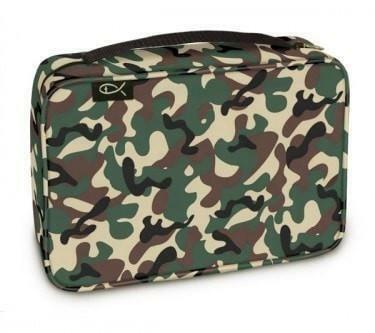 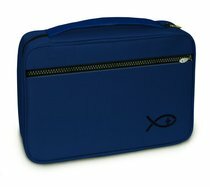 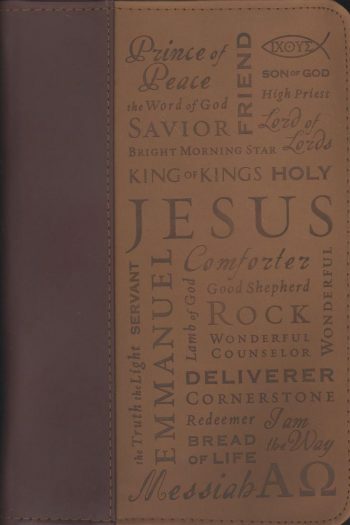 These quality denier canvas Bible covers feature a cross-and-fish symbol as well as a wide zippered pocket. 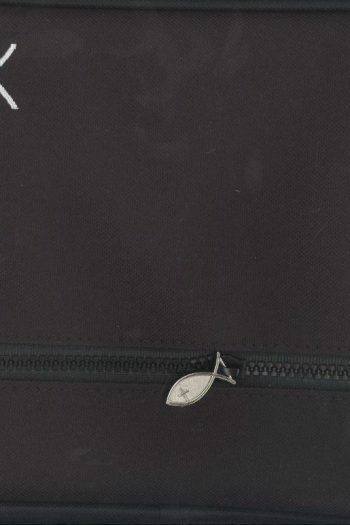 The inside of the cover has 3 sewn-in ribbon book marks, 4 pen/highlighter loops and a black mesh pocket underneath. 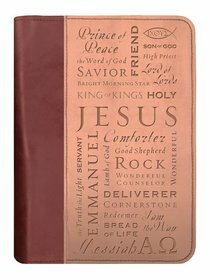 25.7 x 18.4 x 5.7cm. 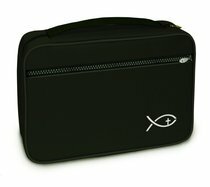 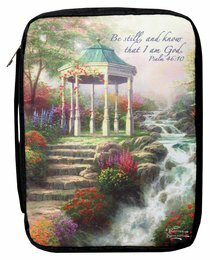 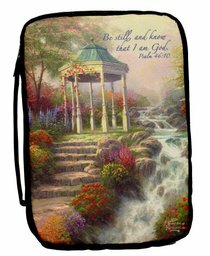 25.4cm x 18.41cm This Oxford cloth Bible case protects your Bible while holding study accessories. 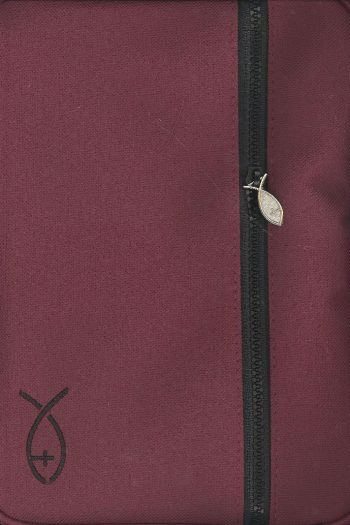 Includes outside pocket, Armor of God cross emblem Zipper-Pull, and label,and four Pen loops inside the front cover. 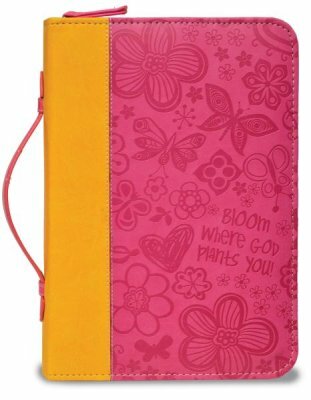 Please note notebook and highlighters are not included. 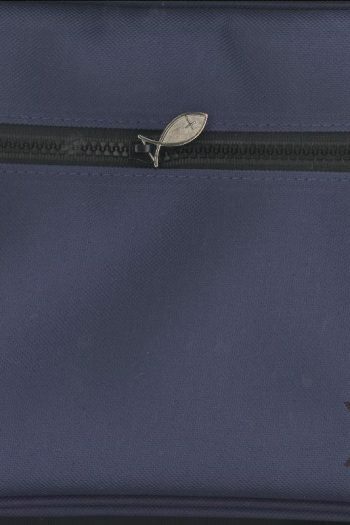 Thye are for illustrative purpsoe only. 25.4cm x 18.41cm This Oxford cloth Bible case protects your Bible while holding study accessories. 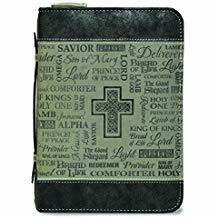 Includes outside pocket, Armour of God cross emblem Zipper-Pull, and label, and four Pen loops inside the front Cover. 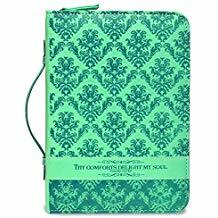 Please note notebook and highlighters are not included. 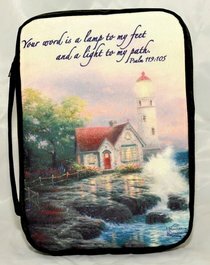 They are for illustrative purpose only.